I spent part of last weekend in Martha's Vineyard for the African American Film Festival. It's been a decade since I've visited Martha's Vineyard and it felt great being back on the island. Below are photos of me admiring beautiful cottages in Oak Bluffs. Last week I spent a few days on a girls' trip to Kingston, Jamaica for Jamaica Carnival 2016. I haven't visited my island home since 2010 so the trip was long overdue. I was excited to see members of my family who I haven't see in a long time and to visit some of my favorite places in Kingston. Below is a recap of my trip. Last weekend I went on a short girls' trip to Savannah, GA. My friend has been telling me about the old town charm of Savannah for awhile so the curiosity got the best of me and I finally went. Our first order of business included a visit to the River Walk. We went to brunch at Collin's Quarter, which was celebrating its one year anniversary. Collin's Quarter is one of the newer establishments in Savannah, offering chic decor, delicious beautifully presented food and an espresso bar. I truly enjoyed the Old Town Charm of Savannah. I snapped this photo while taking in the beauty of the town on our way to Forsyth Park. We enjoyed browsing through the Paris Market - a unique eclectic gift shop. My friend especially liked their soaps, lotions and other skin care items. I took this photo at the downstairs level where you can find a number of vintage trinkets. We tried honey tasting for the first time at Savannah Bee Company where we learned that honey gets its flavor from the plant the Bee feeds on, they had a large variety of flavors. 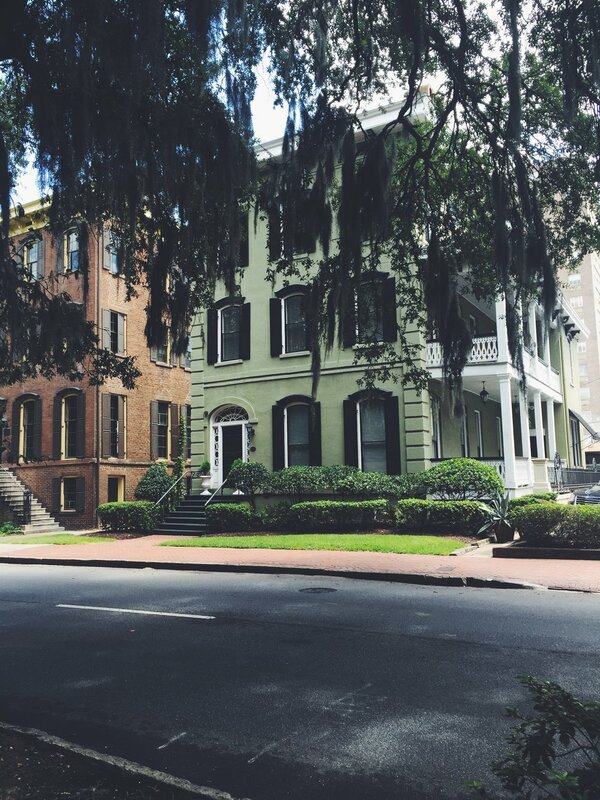 If you enjoy small towns with personality and charm, then Savannah is worth a visit!